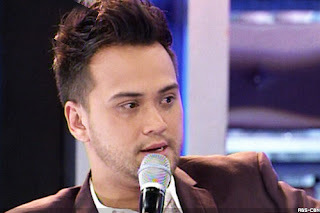 The silence is dispelled when the singer host Billy Crawford explained everything about the reason behind his breakup with Nikki Gil. Their happy relationship lasted for four and a half years. Billy Crawford said, "I’ve been everywhere, and this is the first time I’ve ever felt this way. That’s why I ask everyone, do not blame Nikki. She has no fault. I’m not a perfect guy. I’m not a perfect person. I’ve done some things in my life that I regret. And she, she supported me. She understood. She was there. But I tend to go home by myself," told to 'The Buzz' host Boy Abunda. He added, "I’m the one who’s completely lost and I’m searching. I asked her this. You know, give me that chance to find myself since it’s very difficult. I tend to hurt her." Billy also said that he really need to meet his parents in United States and this coming August 3, is the date of his departure. Billy said, "That’s why I’m here, because I didn’t want to just leave and not say anything, and then for everybody to attack her (Gil). And for everybody to speculate, to guess, whatever… For some reason, I needed to be with my mom and dad," then added, "I have to start from scratch. I have to start from… where did I come from? I came from my parents. I need to try and find what was making me happy before, who I was, and I just want to be with my family." For complete Billy's explanation, you can just visit the page here. Comments or suggestions about "Billy Crawford explained about breakup with Nikki Gil" is important to us, you may share it by using the comment box below.